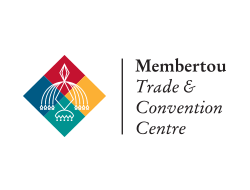 Membertou Trade and Convention Centre is a modern building offering 20,000 square feet of meeting and event space. Their surroundings and nearby amenities and attractions make their facility the ideal setting for conventions, meetings, weddings, entertainment events and more! Membertou Trade and Convention Centre is also home to one of the top ten restaurants in Sydney, called Kiju’s Restaurant, and for the convenience of their guests, they are connected via pedway to the Hampton Inn by Hilton Sydney. Book your event at the Membertou Trade & Convention Centre and experience their unique combination of hospitality and professionalism!